It's 2008 and AIM is dead. 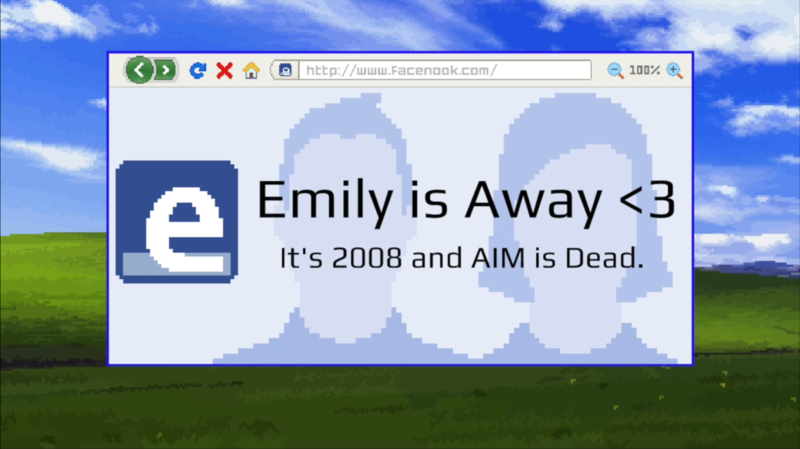 Emily is Away <3 is a brand new story set on an old-new social media. 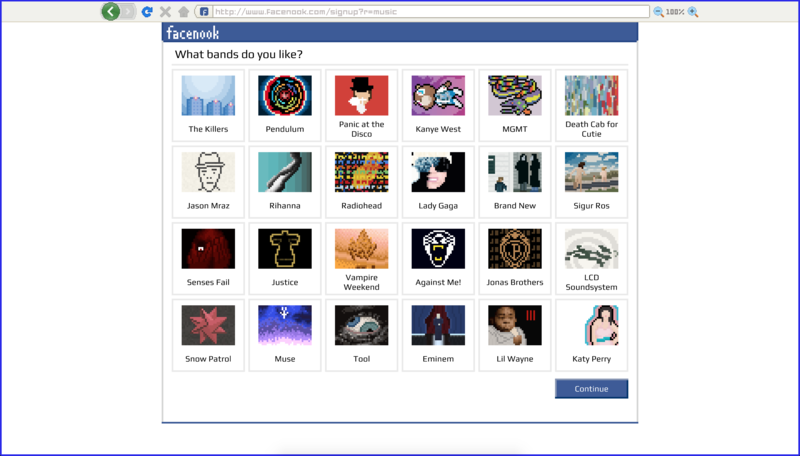 Sign up for Facenook, send some friend requests, and choose your way through the branching narrative. 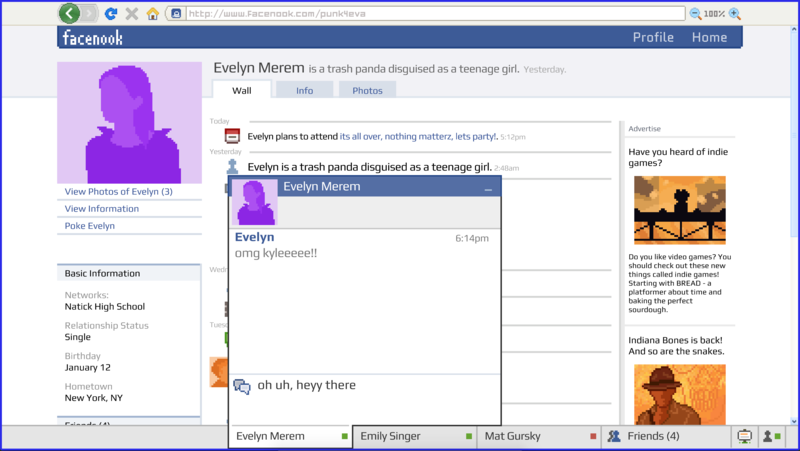 Emily <3 strives to tell a story that can only be experienced on Facenook. 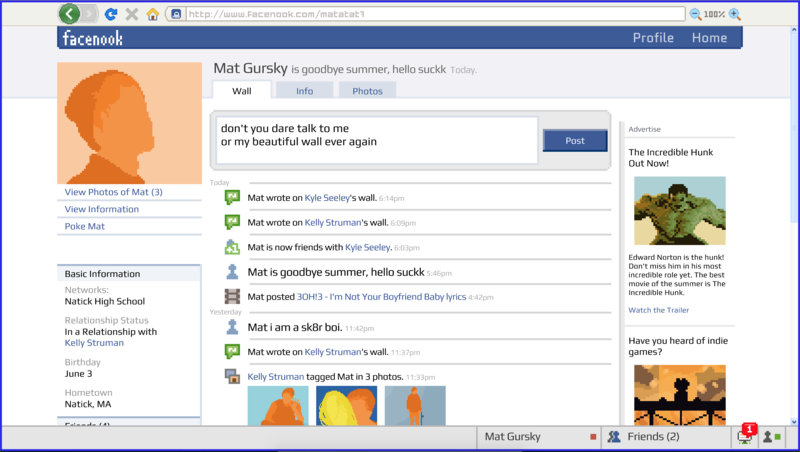 Interact with friends via wall posts, poke wars and of course, cryptic statuses. Customize your profile and see how other characters react. Chat with multiple friends both new and old. Everything you do will help determine the outcome of your senior year. 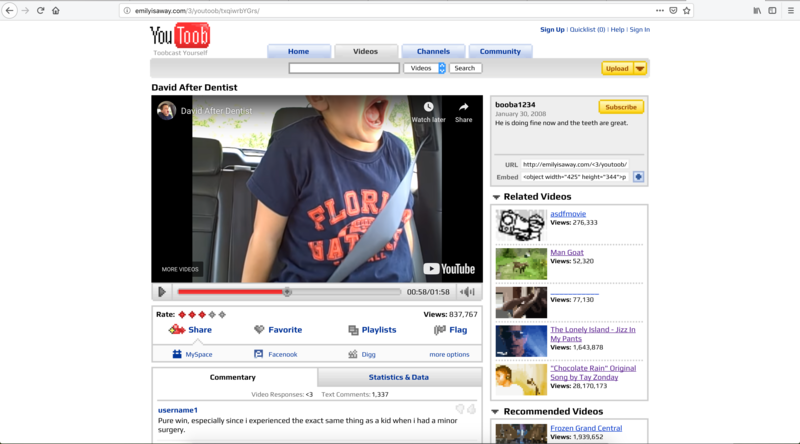 Facenook interface with tons of new ways to effect the story. Public wall posts and decisions that influence the group dynamic. A dialogue-based branching narrative with multiple endings. Nostalgia-inducing music videos, websites and references. Awkward high school memories you never wanted to relive! Emily is Away <3 is the third installment in the Emily series. Being a spiritual successor, it's a brand new narrative with new characters and new endings to be reached. Like previous games, you use dialogue decisions to choose your path in the story. And staples of the series are still here like instant messages, youtoob links and nostalgic references. 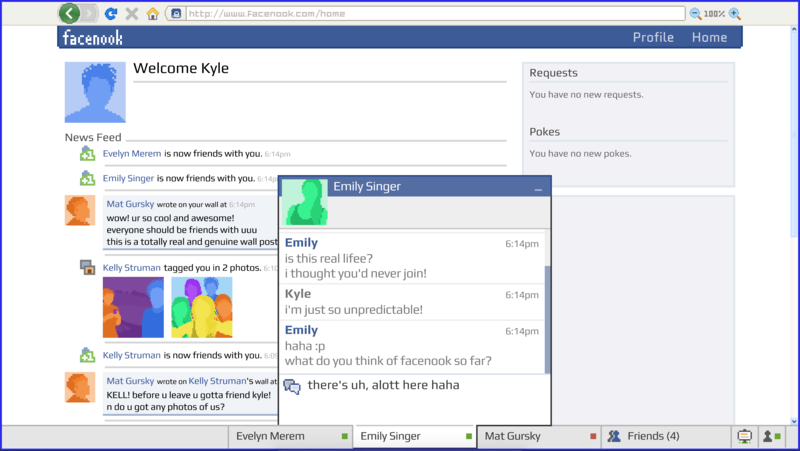 But unlike previous games, Emily <3 is set on the website Facenook, not an instant messenger. 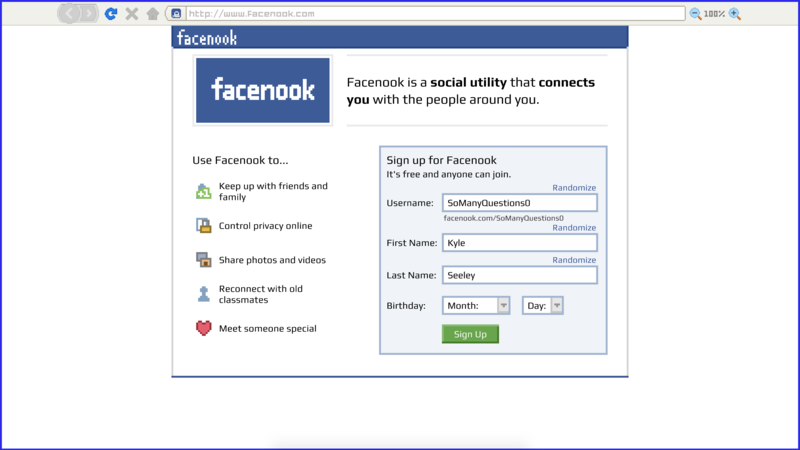 This opens the door for so many new interactions such as wall posts, poke wars even making your relationship facenook official. I'm so excited about these new features and to finally share the game with you. "It takes your PC on a wonderful, overwhelmingly nostalgic trip through the mid 2000's and AOL Instant Messenger." "It takes me back.. takes me back to being a teenager." "Why does it make me FEEL?!"